Orange, California, 1910. 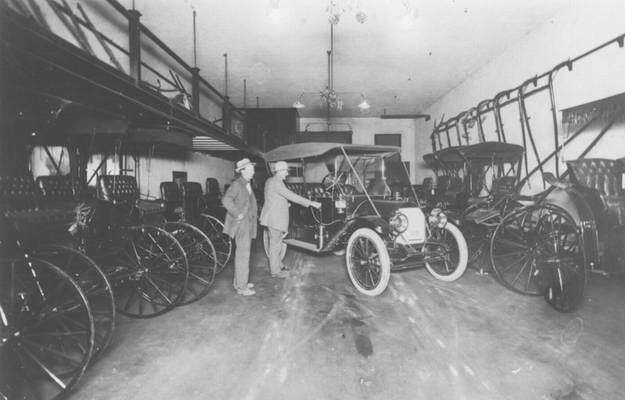 Image shows two unidentified men looking at an Oakland Motor Car Company automobile in Eltiste's first store in Orange, located at 131-137 North Glassell Street, across from the Orange Theater. Carriages and buggies are visible, lined up along side walls of store.